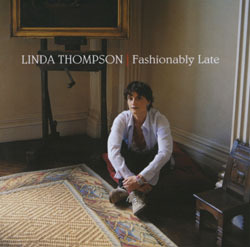 Time Magazine has said “Linda Thompson may be rock’s best woman singer”, and anybody with an interest in contemporary music would expect that description to be expanded to include folk music. Although Linda hasn’t made a recording for seventeen years, the pure, fragile beauty of her voice hasn’t deserted her – indeed, time has only increased the emotional quality of her performance. This is a remarkable comeback, featuring nine songs either written or co-written by Linda. The tenth, Evona Darling, is from the pen and free spirit of Lal Waterson.